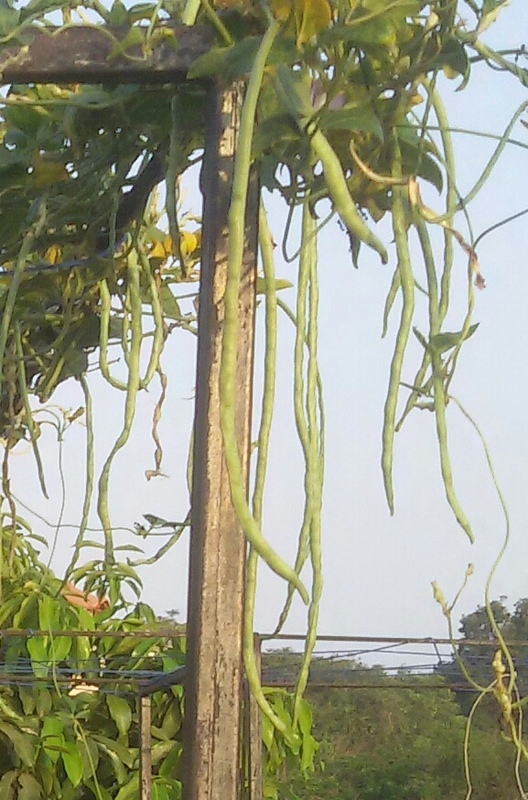 Presently I am in Goa,at my mom’s house,she has a well cultivated terrace garden which has variety of fruits and vegetables.Vali or long beans is one of the vegetable grown abundantly in her garden. 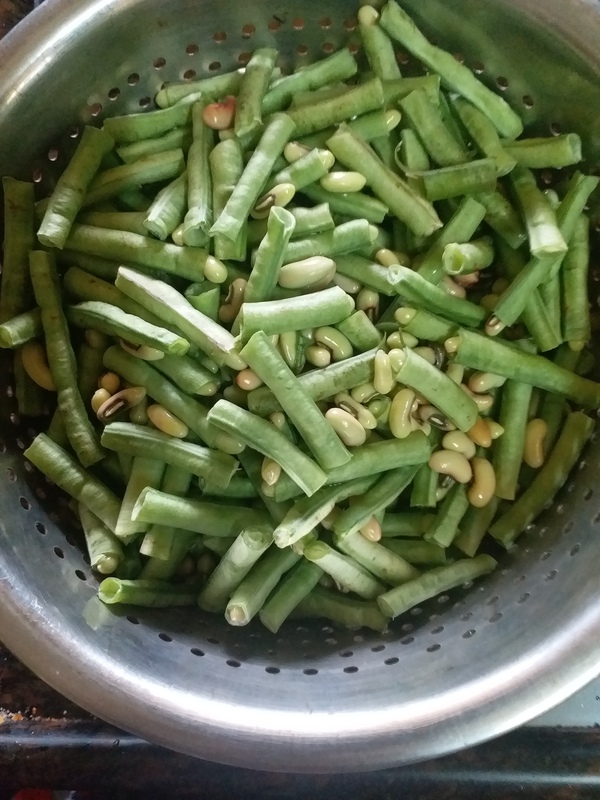 Usually these beans are not cut but broken into 1 inch peices with hand and the tender seeds are also used for making vegetable. 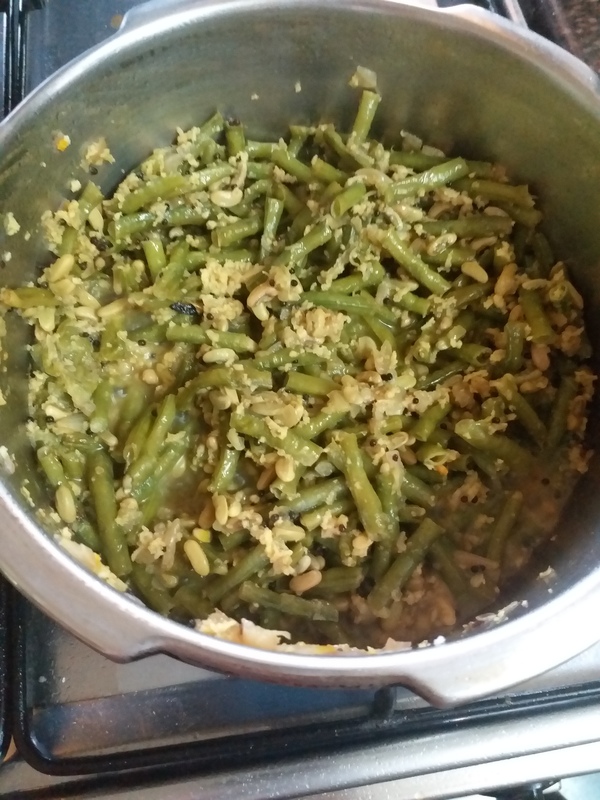 This is a simple vegetable made using green chillies and coconut,which goes very well with chapati,bhakri or simple plain Dal rice. Potatoes or sweet potatoes are also added to these beans . 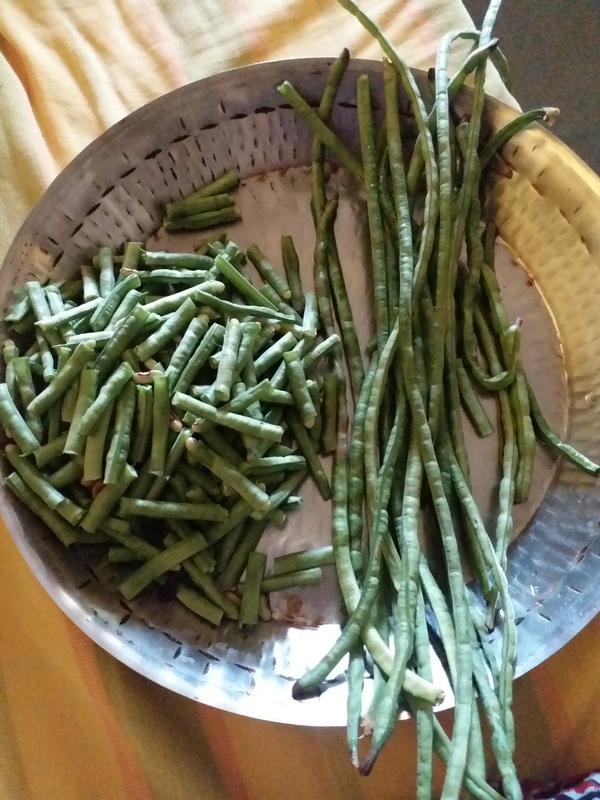 2 cup Vali (long beans) washed,and broken into 1 inch pieces. 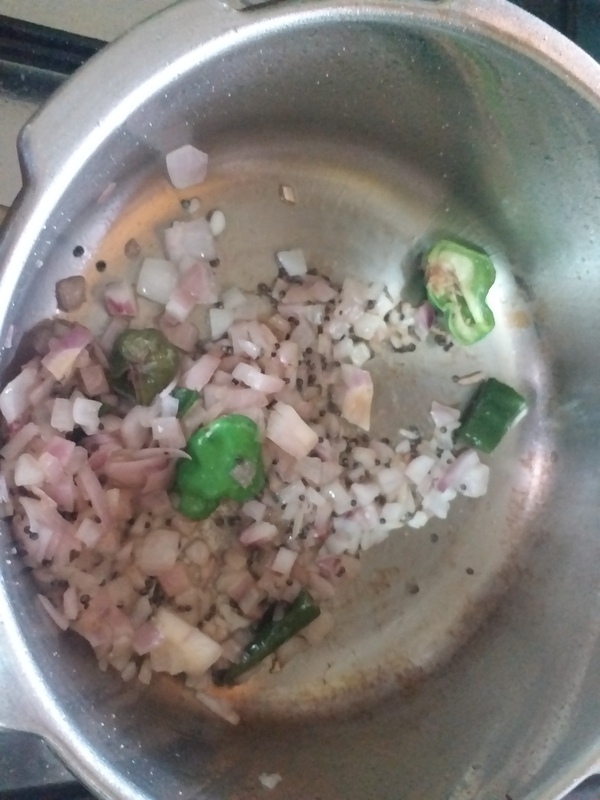 Heat oil in a pan,add mustard seed and asafoetida.Add onion and green chillies and saute well. Add vali, salt and turmeric powder. Mix well,cover and cook for 5 to 7 minutes. Add grated coconut and sugar.Mix well. 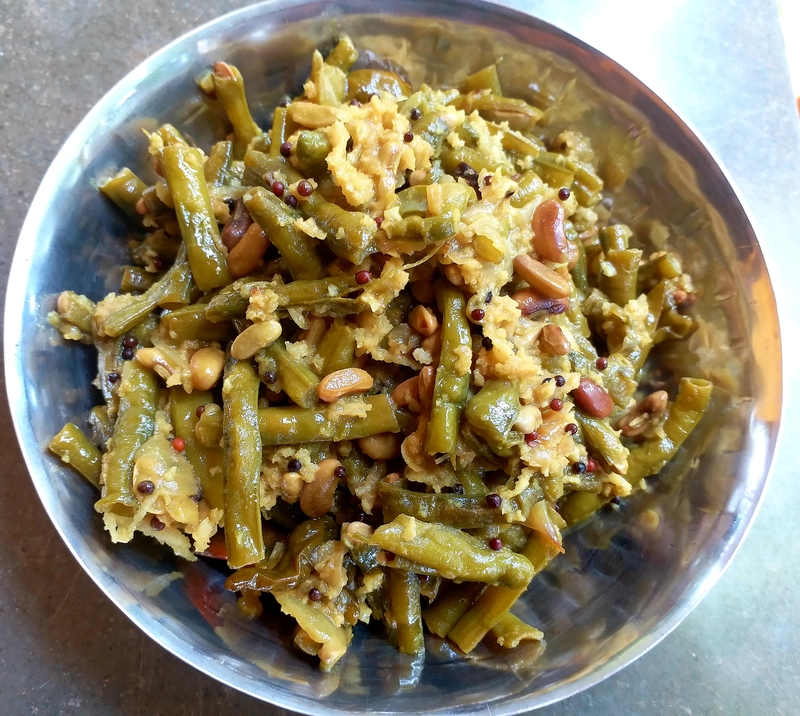 Remove in a serving bowl and serve hot with Chappati or roti of your choice. Malvan being a coastal area, coconut and fish along with rice forms our staple food,our fish curries are made in coconut milk, when combined with rice is a combination to die for.The distinct flavour to this curry comes from the use of coconut oil. 1 large pomfret cut and cleaned. Wash,peices of pomfret and keep aside. Add salt and turmeric to washed and cleaned pompfret.Keep aside. 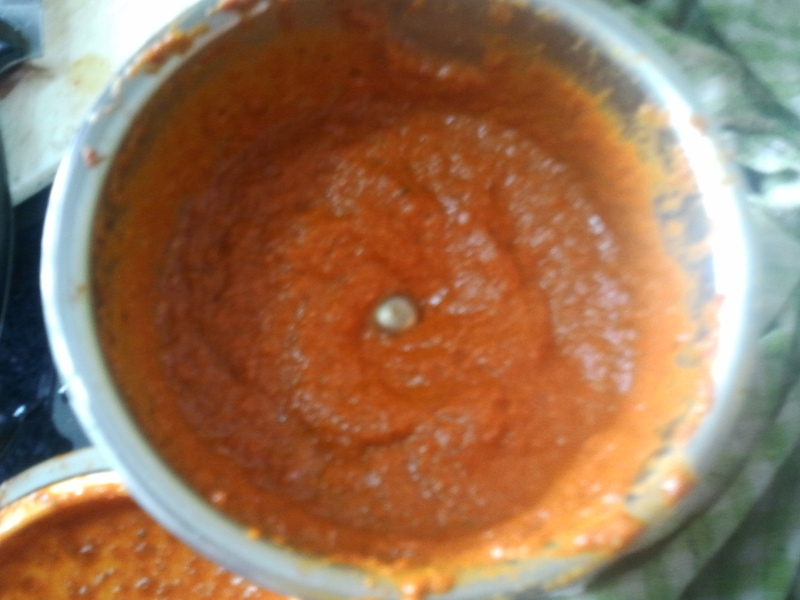 Grind all the masala ingredients to a fine paste. Apply grounded masala paste to pomfret peices and keep aside. 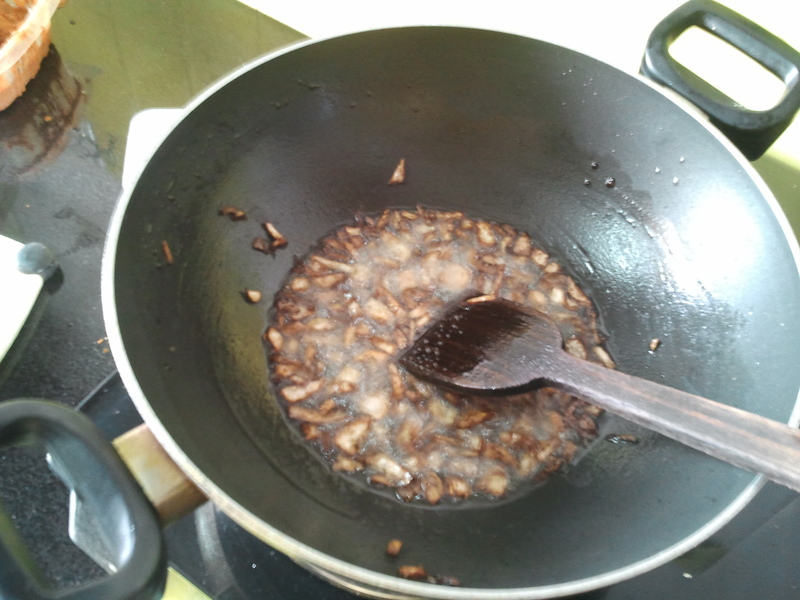 Heat oil in a kadhai.Add half chopped onion,let it turn brown. Add marinated pomfret,fry well,add 1 cup water. Cook for 5 to 7 minutes or till pomfret peices are cooked. Add coconut paste, mix well and cook for a minute or two.